A visit to a Trader Joe’s store is a unique fun food shopping experience. You really never know what you are going to find. There is a good chance that you will discover something new every time you shop at a Trader Joe’s store. The success of Trader Joe’s is the result of a unique business model that has built a national chain of neighborhood grocery stores. The combination of innovative products along with a service-oriented culture has created a loyal customer base that continues to grow nationally. This combination of product, people and a unique store layout differentiates Trader Joe’s from a typical grocery chain. Most large supermarkets carry an overwhelming number items. Large stores stock over 50,000 items. National brands represent about 80% of the assortment. A typical Trader Joe’s stocks about 4,000 items and about 80% of those items carry the Trader Joe’s name. This focus on unique fast turnover products results in sales per square per foot that is more than double that of most supermarket chains. Trader Joe’s has created a unique service oriented culture by hiring people who are passionate about food. When I visited Trader Joe’s earlier today, I was helped by three different people before I arrived at the checkout stand. The Trader Joe’s mantra is to offer value and a dedication to quality service through warm, friendly, committed employees along with a pledge to offer quality products. Trader Joe’s pays their employees higher than most grocery store chains. They have won numerous awards for being a great place to work. Their marketing is also different. They regularly publish the “Fearless Flyer”. They describe it as a cross between Mad Magazine and Consumer Reports. It is a newsletter, magazine and comic book all in one. It combines product information with witty tidbits. 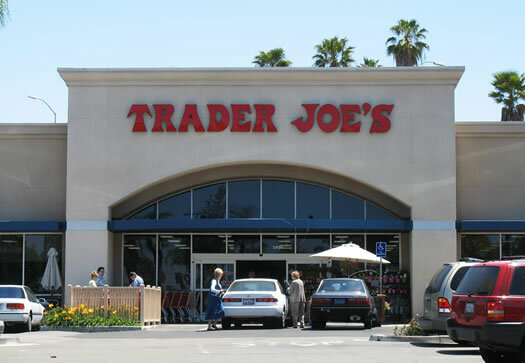 Trader Joe’s has proven that a unique culture which is aligned with the business strategy and the values of its customers, can provide an effective defense against competition. This has enabled Trader Joe’s to build a unique and differentiated brand. Have you shopped at a Trader Joe’s store? I’ve shopped there for a few years now & I’ve observed their cashiers are consistently friendly & warm..a critical element for a shoppers’ experience..good post! Not one close to me, but my couple of visits were quite compelling. Love the unique things you can find there.